My 5th Artscow Photobook Arrived !! I almost forgot to share this. My 5th Photobook arrived after almost 3 weeks of ordering from ARTSCOW last week and again I was not disappointment. 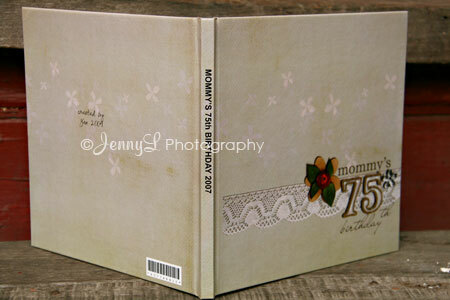 It was 24pages 8" x 8" Photobook. I made the layout at Photoshop but if you don't know how to make there, you can avail of the designs included at ARTSCOW's photobook. This is my gift for my mom. There has been a major clamor about saving the Mother Earth from further destruction. We all know and have heard about climate change, green house effect and other alterations on the Earth that we are living in. I had my little share by collecting all my empty plastic containers and giving it to the garbage men so that they can sell it and have it recycled. Gov’t. and non-gov’t. organizations are also very aggressive in promoting various environment friendly activities. I have also noticed that a lot of our malls are already encouraging shoppers to use environment friendly bags when shopping. Green shopping is in for environment friendly products that are not too harmful to our Mother Earth. Let’s all give our share bec. we only have one place to live in. DITO LANG sa Pinas marahil makikita na ang mga "basura" o pinagbalatan na mga pagkain ay nagagamit pang palamuti sa ibat -ibang bagay. Tignan nyo gaya na lang nitong mga shell ng talangka at talaba, ito'y nagsilbing dekorasyon sa isa sa mga float noong Aliwan Fiesta. Oh di ba ang ganda? Ang mga Pinoy ay talagan sadyang malikhain. Ito ang lahok ko sa LITRATONG PINOY. Probably ONLY HERE in the Philippines that you can see items from "garbage" that can still be used as decorations. Say for example these shells of Crabs and Talaba are made as decors for a float used at the Aliwan Fiesta parade. Proj. 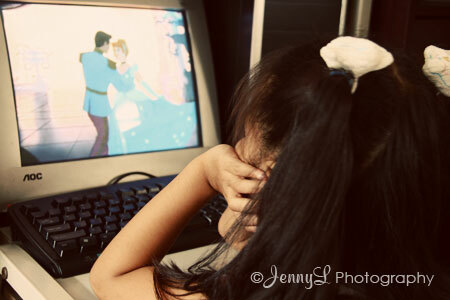 365: Watching Cinderella.. again?? I asked her to look in the cam and I'm glad she wants to be photographed this time. 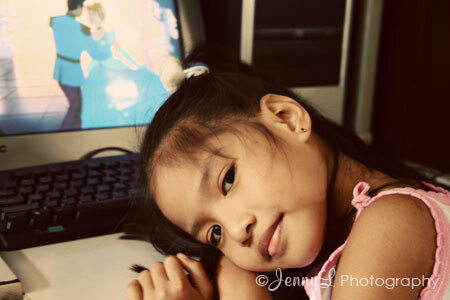 I am watching Jessica Soho Reports, a magazine tv showwhile blogging, hehe. It's one of my fave Saturday shows and it is airing over at GMA every Saturday at 9:00pm. As much as possible I don't want to miss any episode because they have very entertaining and informative format. I just love how Jessica Soho , the host tackles issues in our country about economy, celebrities, politics, economic, social issues and global news. What is it in gold that perhaps a lot of us are drawn to it? Gold has long been known to be precious and used in the early centuries as money for payments on their trade. Up until now gold proved to be one of the most precious metals in the world that no wonder many people have been investing or collecting in it in many forms. Some have it in as coins, bullions and others preferred it as jewelries. For some investors, they have acquired collectible coins and bullions trough Monex group of companies. With over 40 yrs. in business they have been offering quality and rare coins and other metals. I can hear the loud noise outside my store right now and it looks like the street dancing will be taking place any moment. Traffic is starting to be here because there will be a parade in our barangay. Actually it is part of the celebration of the festivities till June 24 "San Juan Paligo". The kids are really back to school already last Monday after a long summer vacation. 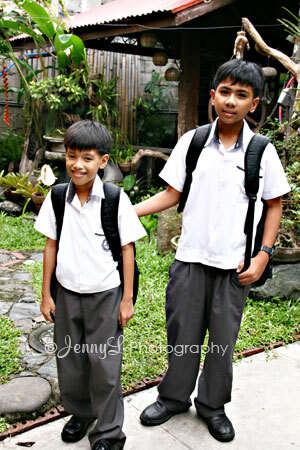 These are my 2 nephews who arrived from their school one afternoon. They are both Grade 6 at a private school here and they are both at the same section. 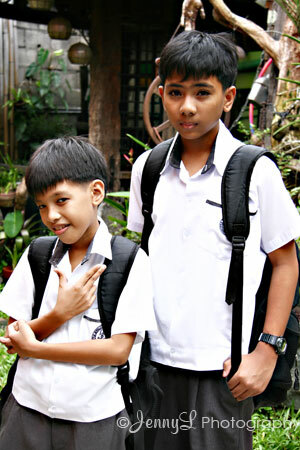 Dither (left side) was a bit small haha and because of that I always teased him that he was only a Grade 1.. LOL Anyway, I hope they will do good with their studies again. I was watching a local morning show one morning and they have a segment where they discuss about business. The topic for that today was about business competitions and how to handle it. Since I’m an owner of a small business, I was naturally become interested in watching and listening to the guest expert. One tip that he has shared was to know your competititor’s business plan and tactic by carefully watching what they have been offering to their own customers. In this way, you will not be left behind. There’s no wonder when a certain company marks down a price, the others will follow and this is good for us consumers. Aside from that business owners should have business insurance just in case it will fail. I guess big companies have such. Last Saturday was a busy day for me!! 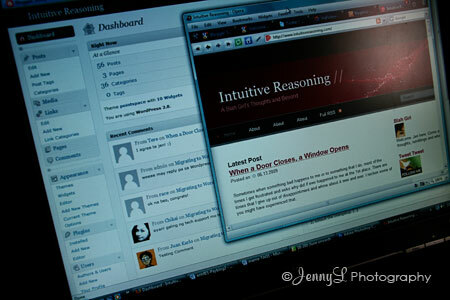 My nephew and I started to migrate my INTUITIVE REASONING blog from Blogger to Wordpress. It was kinda easy to migrate all my posts that I have but had problems with the permanent post's URL etc. but my tech support nephew fixed it right away. I've been wanting to buy a laptop for quite a while now. My first choice was really an HP Pavillion laptop since I already own an HP desktop at my store but the price was above my budget. I was searching online and asking friends what brand is nice other than HP and it seems that DELL is a good choice too. With no further thinking my niece and I went to SM City Annex at North EDSA to look for DELL store after canvassing and almost buying at a store in Megamall. I already know the specs of the pc that I am looking for and so when the salesman at DELL store showed this to me, I immediately fell in love with it. The size, the specs, and the price quickly suits my budget so here is my new toy: Dell Inspiron 1420. I also got some freebies mouse and headset. I hope this new toy of mine will surpass my expectation. Ahhh the bliss of having a new "baby". Immediately after I closed my shop, I hurriedly went home because I'm too hungry already. I did ate my afternoon snack but for some reason, my body signaled that I am hungry again. Must be because I was too busy today at our net café and consumed most of my energy while working. Anyways, I got home and meal is prepared already by my mom. I had some fried chicken which is my favorite and had chicken soup with papaya (tinolang manok). Oh boy, it was a very sumptuous meal, I could not resist eating a lot eventhough I know we should not eat too much before going to bed at night. Been eating quite a lot these days especially we’ve been having a rainy weather. I just wanted to eat, eat and eat, not worrying too much if I will gain weight because I know I can loose them through exercise and if worst times come then a diet pill will do, I reckon. I just thought that I should refrain from overeating before bed time because a no-no. Winners of GSIS Painting Competition 2009: My brother won!!! Government Service Insurance System (GSIS) in cooperation with the Art Association of the Philippines (AAP) held another painting competition this year and we are very happy and honored because my brother got one of the major awards. The awarding ceremony was held last night (June 3) at GSIS and unfortunately I was not able to come so these photos are taken by my nephew using only the p&s cam so pls. excuse if some photos are not that clear. There were more than 740 entries, I think both for the * Representational (any style, realistic, stylized (distorted figure), representational cubism, etc) * Non-representational (abstract) i.e. purely nonrepresentational, no-recognizable figures and objects. ~ ito nga pala entry ko sa Litratong Pinoy, wala akong maisip na isali so ito na lang. Ang tema ay MISYON. Ito ang misyon ng aking kapatid ang gumawa ng magagandang obra at manalo sa contest hehe. As much as possible I am trying to keep my contribution up to date at our local SSS so that in the future when I need some money I can get a loan, if I am in my senior years I can have a pension, or if i got disability thus making my future a bit secured. claims can be done in an orderly manner through Allsup since they where able to help more than 110,00 people. With the 98% rate of success of Allsup, they are now the nation’s leader in helping people receive their insurance and Medicare benefits. Sometimes we need professionals to do the work for us. Nope I will NOT totally eliminate or leave my digital scrapping. I am just taking a break from it since I am busy again with some of my works, so no more scrapping this week. I will be resuming once I am settles once again. I saw some nice digital kits as freebies and I think I will be downloading some later. No more buying of digi kits right now, that is if there is no $1 sale.. LOL. I will be back in my regular scrapping days soon and you will be seeing new photobook in the coming days so watch out for it. 1. What's the weather like today? Describe it. - Wooo.. the weather is crazy right now. It's been raining since yesterday up till today and the weather bureau says it will be like this the whole day. There are no classes in Manila, it was suspended this morning. 2. Did you/are you going to do anything productive (sure, it's relative) today? What did you/are you up to? - Oh yes, this will be a very busy day for me. Online and offline works. I have lots of works to finish and I hope I can finish them all today if I am not exhausted. 3. Do you need to make some phone calls or send some emails to people that you haven't heard from lately? If so, who? Here's your reminder to do it! - Hmmm at the moment I am not writing anyone. It's Going to be Twins! I just learned few weeks ago that my cousin's wife is pregnant again. What makes it more surprising is that she is having twins. We are not sure yet of the gender of the babies because at the last ultra sound, the baby is in a very different position that the OB doctor can't see the gender. That makes it more exciting and in suspense. They already have a 4 year old daughter and 2 new babies will be added in no time. Around October Glenda is going to give birth and as usual everyone is excited. The Christening will be around December if I may guess. I know I will not miss that occasion and right in time I saw Baby Nest Shop online. They have lots of personalized baby gifts that is so cute and unique. I already browsed the site and look what I found. I can have the names of the babies at the diaper bag and at the cozy blankie and I think I will these as gifts. After hearing mass last Sunday and during lunch time at my bro's place, I started to feel crap bec. my period is coming. 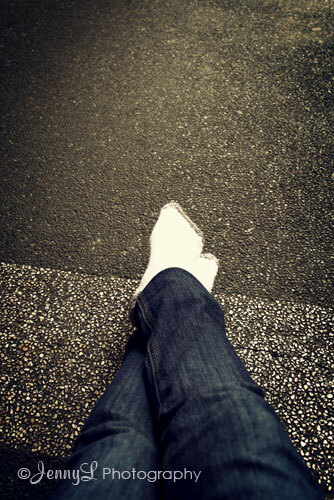 My legs are cramping and feet were too cold. I feel pain and what do you expect when you are PMSing.. I am actually difficult! I was suppose to go out shopping for a laptop but with this kind of condition I don't think that is the best thing to do.I went home after lunch time and slept till night still feeling crap. My nightmare day ! Hoorayyy.. 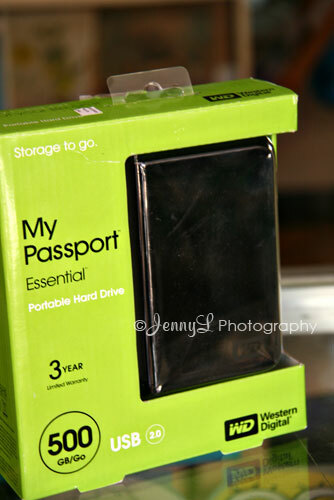 I finally finished putting some journals and converting my psd layouts to jpeg yesterday. I already ordered my 5th photobook from Artscow and it's actually 8x8 20 pages but I added 3 more pages. I got a free photobook coupon from them so I was able to get a good discount. 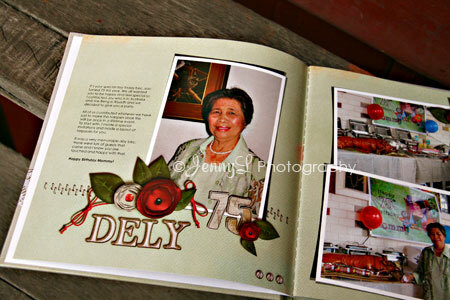 It was actually a photobook for my mom and once it is delivered I will be more than glad to share the inside pages and photos here, so watch out for it. I am guessing before the month ends it should be here already.. ahh I just can't wait.. I guess you already have seen on TV the simple yet very elegant wedding of Juday and Ryan. I am not a big fan of them but I commend them particularly their wedding coordinator for all the efforts. I must say it was was a beautiful wedding. Imagine it’s really hard to get all your guests to go to a destination wedding like what they have. Anyway, if you are thinking of following Juday and Ryan’s wedding this June there are lots packages online about destination weddings that you can look into. Just take a look at the link I have provided and start your dream wedding today through Karisma Hotels. It’s once I a lifetime occasion that is if you want to get married once hehe, so make sure it's the best, memorable and meaningful for both of you and the guests. It's meryenda (snack) once again and for today I opted for this local pizza that my SIL bought at the nearby pizza store . It's not a Pizza Hut nor other famous pizza but it is tasty as well. It's affordable and but the only thing that I hate is that the crust is a bit burned lol. Anyway, just teasing you with my snack for today. It was a very busy day for me last Satuday that it's almost closing time that I remember that I have no PAD (Photo a day). I grabbed my old phone on my bag and little did I know that my bestfriend RACEL was already texting me if I'm still going to their house bec. it's her mom's b-day. It's already 9 pm when I read the text so I have no more time to go there since I am already too tired. Tooooooo bad.. I should have gone to her mom's birthday and seen some old friend. Oh well there is always next year. Sometimes as much as we wanted to invest and gain extra income it seems daunting to take a plunge on something that we have little know how. Take for example on trading stocks, we may have known that it can be lucrative but that is if you have knowledge about it. I have learned that there is a powerful tool that and that is stock options screener that can help people who’d go into stock trading. It can help to compare, analyze, and of course make money on option stocks if used properly. It is internet based so I guess it will be easier and user friendly. I will ask a friend if she has already used this and if not I’ll recommend her to try this. Wow rainy days are really here!! It's been raining since weekend and everyone's complaining. Why not? I's not only raining but it was oh so humid. 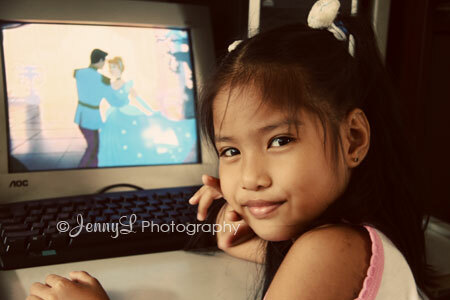 With this kind of weather, many kids and adults alike are getting sick with colds and fever. It is also time to be more alert about flu and Dengue fever. The school year starts once again last Monday for those in the public schools while those at the private ones will start this Monday(June 8th). DEPED also advised the schools to teach their students to always wash their hands thoroughly before and after meals. Aside from that leptospirosis are also seen during rainy seasons. If infected wounds are subjected to the urine of rats there is a posbiolity of getting the disease. So we need to be very careful! Have watched one episode of “Sports Unlimited” on TV and I always admired Diane and Marc (the hosts) because they have beento many places and done a lots of sports and activities on the show. They have shown their skills and endurance to do the sport and knowing them as sport buff they also delivered good performance and show. Anyway, they have one episode about paintballs and it was kinda interesting because it is not only boy men but ladies can do take part in the game. It was not a physical game unlike basketball but it requires agility and mental alertness. If you are into this kind of sport there are many paintball packages at ZephyrPaintball.com that you can get. It’s a one whole shop actually where you can avail all your gears and stuff. 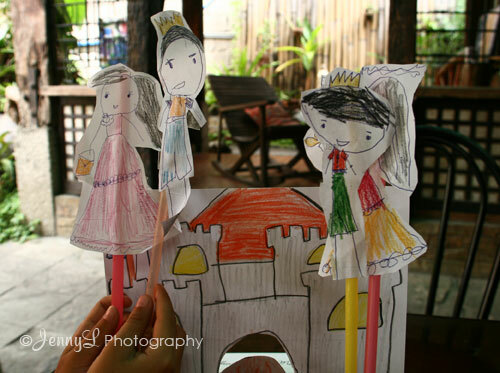 Reign, her bro Dither and cousin Hans made these paper drawings and attached straw to make them as puppets. We're supposed to have a puppet show altogether but drama happened so me and Reign were left to do it. Anyway, we both had fun even though it's hard for me to carry the cam and the 2 puppets at the same time and narrate a story..
What Do Your Dream Means? Recently I have been dreaming lots and some are nice but some are disturbing. Just like the other day, I woke up in the middle of the night, crying and literally my tears are falling down. I dreamed that I am going to die and I am already saying goodbye to my love ones.. Wahhh.. I really don't know what that means but that is so morbid and disturbing. Your dreams seem to show that you're a bit disturbed... but nothing serious. You may have a problem you're trying to work out in your sleep.Your dreams tend to reflect your insecurities. You have a very vivid imagination and a rich creative mind. You secretly want to hide your dreams from your waking mind. A friend of mine who resigned at her work many years ago have been planning to continue her learning so that in the future she can get a new job. I know it is hard to go out and attend a univ when you have kids to take care as well, so I suggested to her that she can now earn a degree online. With the wide range of courses and masteral degrees that they are offering like psychology, business, information technology, education, human services and lots more for sure she can find what suits her ability. I told her that learning will not stop even though she has limited time. OK I was a bit shock when I heard this news last night on TV. Moncho Vodnicharov, 53, a Bulgarian "SURVIVOR" contestant died while doing challenge. Moncho who is also a Mayor, collapsed and suffered a heart attack. His body is said to be airlifted already in Manila and will be arranged to be flown back to his country. "Survivor Bulgaria" contestants are filming at Gota Beach Resort in Camaroan, Province Philippines. Wow, i believe this is the 1st time that there is someone died on the set, if I am not mistaken. The mental and physical pressure must have cost his life. You need some money but you're having second thoughts to even try to get a loan in any credit companies because you already have a bad credit before. I know with any bad credit standing who could trust you again because of your negligence and non-compliance. Too bad isn’t?